Over the BC Day weekend, West Enders held a funeral wake to mourn the potential loss of a cherished heritage building in our community. 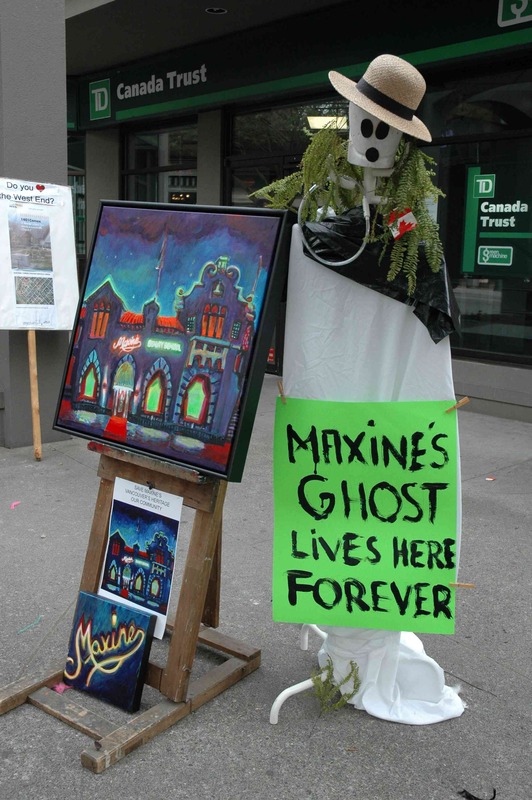 If developers get their way, all that will remain of Maxine’s and her exotic past will be a façade. Entertainers celebrated the many exploits at Maxine’s over the years while several residents and previous employees from the various establishments told stories about their experiences. Tiko Kerr unveiled the second in his series of paintings celebrating landmarks in the West End. 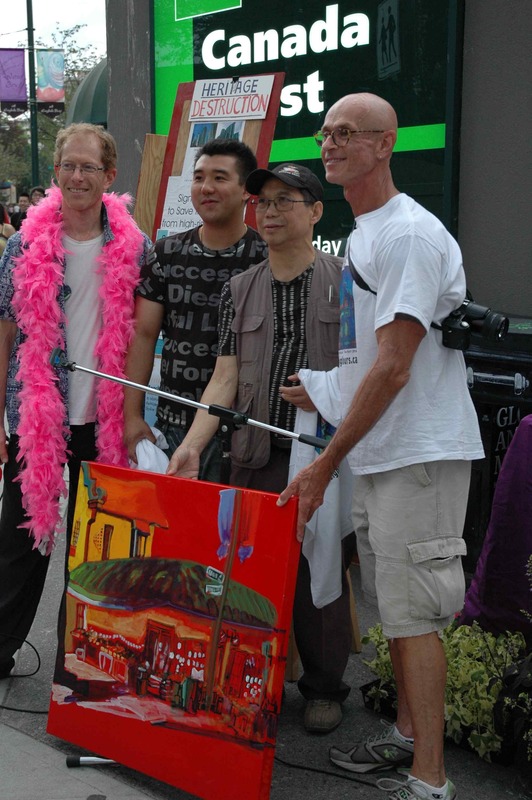 This painting commemorates the Golden Choice Market, located at the corner of Bidwell and Davie Street. The market’s owners joined in the festivities. So be it with Maxine. We are here to remember two Maxines – the Madame and the once gracious building to which she gave her name. A true gentleman – and Maxine knew many – would have seen to it that she would be looked after in her old age, and arranged for regular cosmetic treatments and all necessary uplifts. Instead, the men who bought her two years ago felt she could not earn enough to keep them in the style to which they are accustomed. It was not her faded beauty that seduced them or what they might have made of her remains – a Community Centre or West End Centre for the Arts – Ghost or no Ghost! A town is built on people, not their bones. 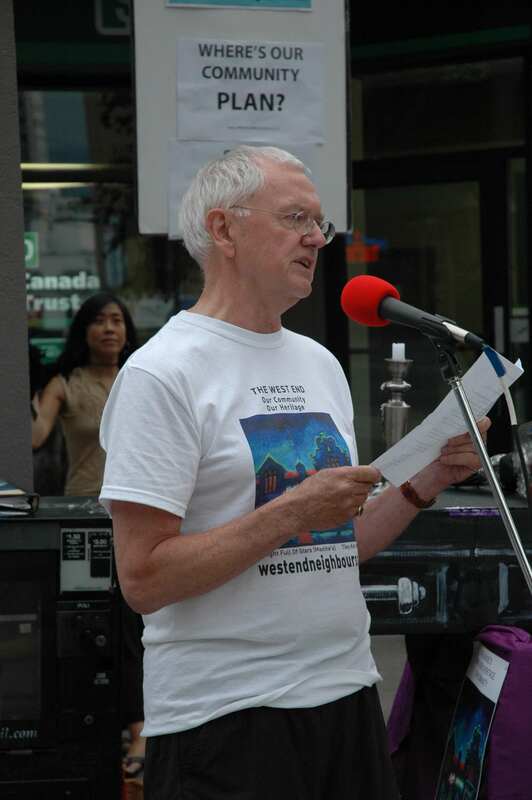 The West End remembers Maxine, as it does Sylvia Goldstein of Sylvia’s Hotel and Joe Fortes, the sailor from Barbados who became our first official lifeguard on English Bay. 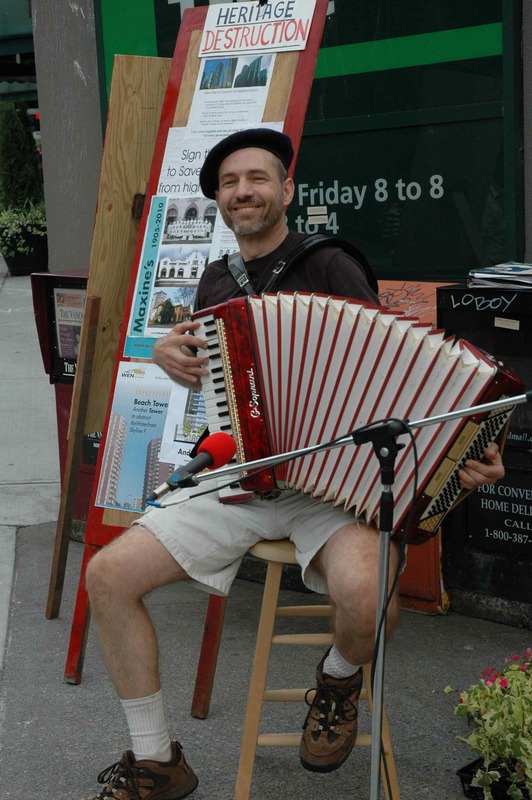 Now Bob Rennie would have us out with the old – Maxine’s name is toast! And in with the new – Maxine’s will soon be known as The Alexandra. The Real Alexandra was Alexandra of Denmark, wife of King Edward VII. Gentrification sets the tone and sells the homes. So Maxine be gone – make way for Alexandra. I speak not to disprove what City Hall has spoken, But here I am to speak what I do know. You all did love Maxine once, not without cause: What cause withholds you then to mourn for her? O judgement! thou art fled to brutish beasts, And men have lost their reason…. 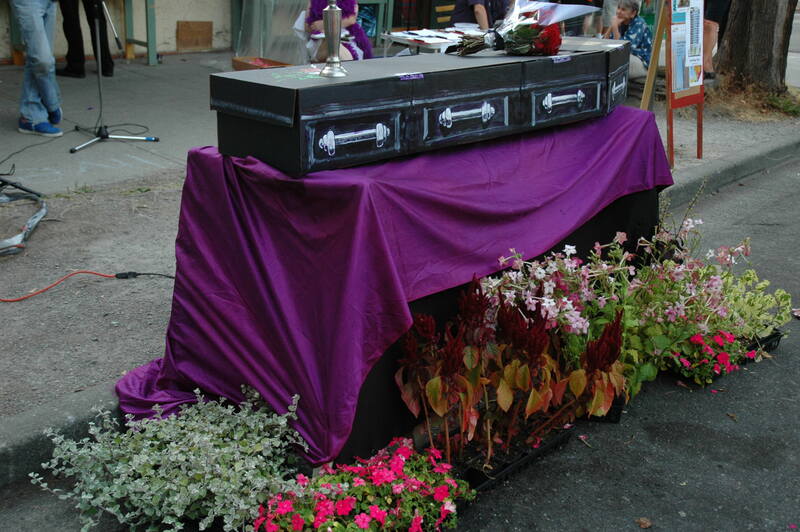 Bear with me; My heart is in the coffin there with Maxine, And I must pause till it come back to me.